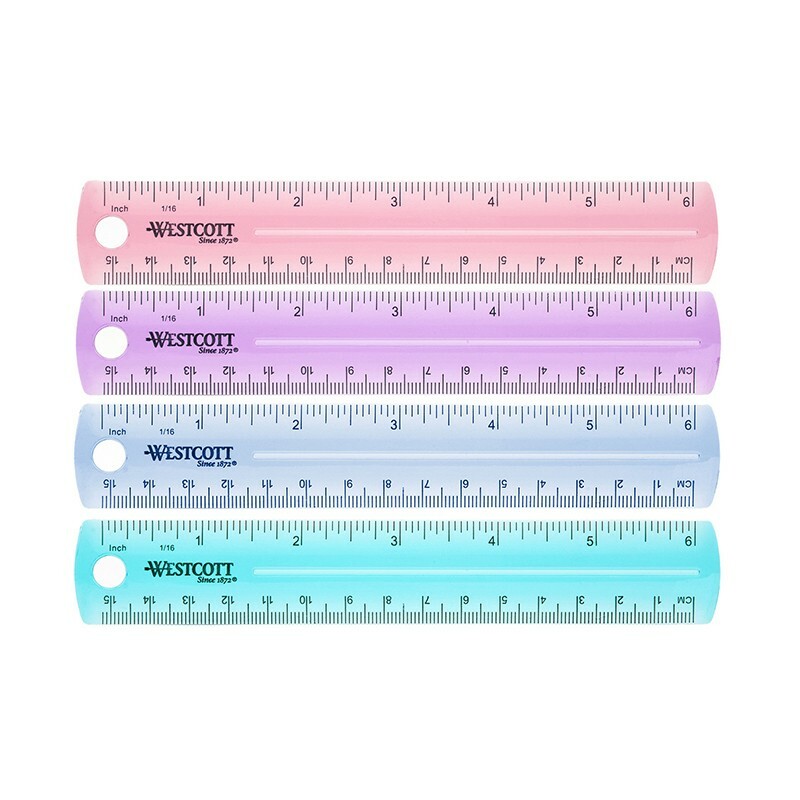 The Westcott 6" Plastic Ruler will brighten your desktop with assorted transparent colors. Ruler measures 6", and includes a hole to hang up. Flexible, durable plastic is perfect for home, office or school use. Features inch and centimeter markings in 1/16" and 1mm increments. Numerals and graduations are sharply delineated. Assorted transparent colors (no color choice).